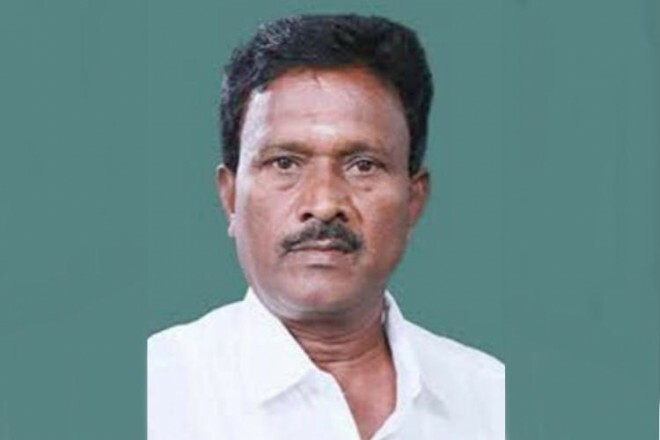 AIADMK Lok Sabha MP S Rajendran died on Saturday after a car in which he was traveling rammed into a road median at Tindivanam near Villupuram, police said. The 62-year old MP representing Villupuram suffered serious injuries and died on the spot this morning, they said. "Two others who were with the MP -- his driver and a relative who assisted him in his work -- were taken to a local hospital and then shifted to Government Medical College Hospital at Mundiyampakkam (Villupuram district)," said a police official. According to preliminary inquiries, the accident occurred after the driver lost control of the vehicle and hit a road median at Tindivanam and a probe was on. Meanwhile, Chief Minister K Palaniswami condoled Rajendran's death and said he was anguished to learn about it. He lauded Rajendran's for his efficient work as an MP, long service to the people and for his commitment to the AIADMK's principles. "Rajendran has been in public life for a long time and worked for the people's welfare. He was affable and held many responsibilities in the party. His death is a huge loss for the AIADMK and the people," he said in a statement in Chennai. Palaniswami conveyed his condolences to Rajendran's family members, party colleagues and prayed for the departed soul to rest in peace.